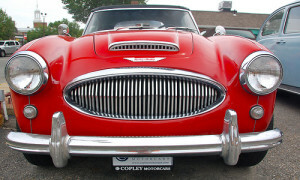 The Austin-Healey roadster is a classic British sports car from the 1950s and 1960s, with a sterling reputation and a loyal following. The first of the "big three" Austin-Healey models rolled off the line in 1953, and its popularity remained high through the final model which left the historic Abingdon plant in 1967. 1953-1953 Austin-Healey 100-4, both the BN1 and BN2 model. A factory-style one-piece top with plastic window, featuring hand-rolled binding, French seam darts, and four Tenax snaps as original. 1957-1958 Austin-Healey 100-6 BN4 (Longbridge). This factory-style one-piece convertible top with plastic window fits all four-seater Longbridge models. 1957-1959 Austin-Healey 100-6 BN4 and 3000 BT7. This factory-style one-piece convertible top with plastic window fits four-seater models, and has twelve Tenax fasteners. 1957-1962 Austin-Healey 100-6 BN6 and 3000 BN7. A factory-style one-piece convertible top with plastic window, this fits two-seater models and has four Tenax fasteners. 1960-1962 Austin-Healey 3000 BT7. A factory-style one-piece convertible top with plastic window and twelve Tenax fasteners. Fits four-seater models. The top frame stores behind the seats. 1962-1963 Austin-Healey 3000 BJ7. This factory-style one-piece convertible top with plastic window fits four-seater models. The top fits roll-up door glass, and the rear window clips to a metal plate at rear. 1963-1968 Austin-Healey 3000 BJ8. A factory-style one-piece convertible top with zipper plastic window for four-seater models. The top fits roll-up door glass. All of our tops fit both left-hand and right-hand drive models. 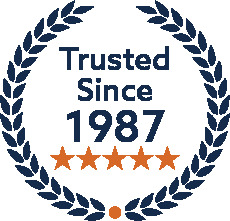 If you have any questions, please contact us, we are happy to help you choose the right replacement top for your classic Austin-Healey roadster.